Your restorative treatment begins with the help of your general dentist who will make a specialized impression that allows production of a replica of your mouth and implants. He or she will also make “bite” records so that we see the relationship of your upper and lower jaws. With this information, abutments (support posts) will be made that attach your replacement teeth to your implants. Various types of abutments exist. Frequently, we can use “off the shelf” abutments. Other times, custom abutments must be made of gold or a tooth-colored ceramic material. As you can imagine, these custom made abutments add to the cost and treatment time involved. Which abutment to use is a decision that often cannot be made until after healing is complete and impressions have been made. The number of appointments and the amount of time required for each appointment is different for each patient. No two cases are exactly the same and regardless of the number of teeth replaced, the work must be completed with great precision and attention to detail. 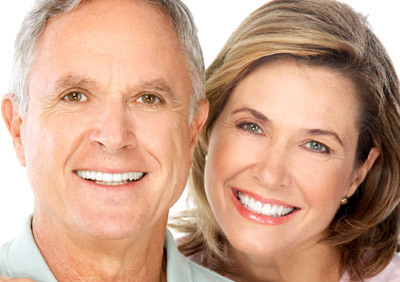 If you are having only a few teeth replaced, as few as three short appointments may be required. Between appointments, your dentist will need time to complete the necessary lab work to make your replacement teeth. It is most beneficial that you keep all of your scheduled appointments. If your final restoration is a removable denture, you will need to come to as many as five office appointments (although it may be fewer) over the following several months. During these appointments, your dentist will perform a series of impressions, bites and adjustments in order to make your new teeth, as well as the custom support bars, snaps, magnets, or clips that will secure your teeth to the implants. During this period, every effort will be made to ensure you have comfortable, temporary replacement teeth. In general, once your implants are placed, you can expect your tooth replacement treatment to be completed anywhere from 1 to 12 months. For these reasons, it is difficult for us to tell you exactly how much the restorative phase of your treatment will cost, although you should receive a reasonable estimate from your general dentist. It also is difficult to give you a specific timeframe for completion of your treatment until after the implants are ready for restoration. As with natural teeth, it is important that you clean implant-supported restorations regularly with toothbrushes, floss and any other recommended aids. You should also visit your dentist several times each year for hygiene and maintenance. As with regular dentures and other tooth replacements, your implants and their associated components are subject to wear and tear and eventually may need repair, including clip replacement, relines, screw tightening, and other adjustments. Usually, Dr. Collins places the implant(s) and performs other necessary surgical procedures – your general dentist provides the temporary and permanent replacement teeth. Both doctors are involved in planning your dental treatment. Also, depending upon a variety of factors, different dental specialists may help with your dental care.